Less than a month after claiming they would not raise the Vietnam government debt ceiling, the National Assembly has done just that. The legislature is scrambling to come to terms with the costs associated with the spectacular modernisation and growth experienced under former prime minster Nguyen Tan Dung, who served from 2006 to 2016 and has disappeared from the political scene since being replaced by Nguyen Xuan Phuc in May, and failing to gain support for the post of Communist Party chief, when current General Secretary, Nguyen Phu Trong was appointed for a second term. 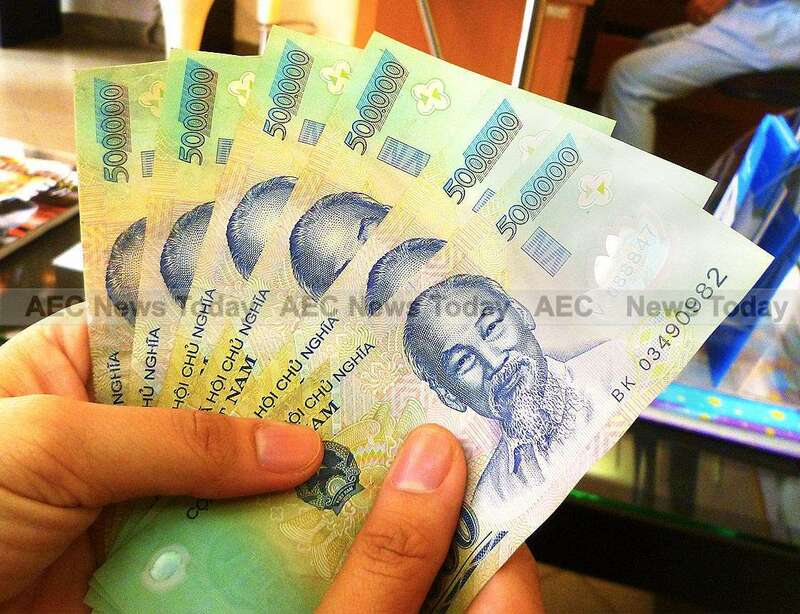 VN Express reports that the Finance and Budget Commission estimated Vietnam public debt at over VND2.600 quadrillion (US$116 billion) at the end of 2015. This equates to 62.2 per cent of the nation’s GDP. The commission reported that all Vietnam public debt indicators, including Vietnam public debt to GDP and government revenue, as well as debt service to GDP and government revenue, are set to approach or exceed their safety limits. For example, the debt service to government revenue ratio hit 27.4 per cent last year, 9.6 per cent above the 25 per cent limit. Worryingly, Vietnamese leaders are looking for new loans to repay funds that are already on the books. In 2014, the government used 14.2 per cent of total outstanding loans to pay off debt, according to the Vietnam Finance Ministry. Meanwhile, the World Bank estimates that this figure may have hit 16 per cent in 2015. 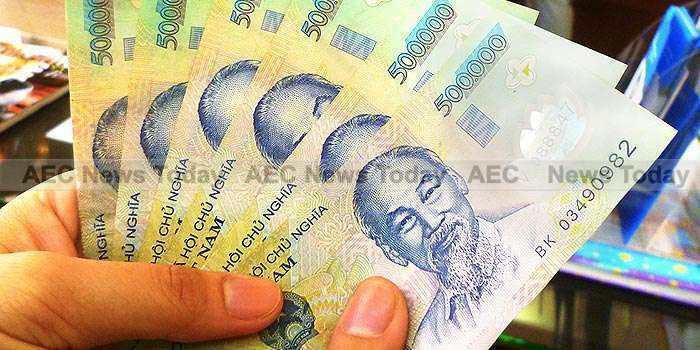 Even though members of the National Assembly initially said the government should reign in spending, instead of increasing the debt ceiling, earlier this month the body approved a government resolution to raise the ratio of Vietnam government debt from 50 to 54 per cent of GDP, just under the 55 per cent that had originally been proposed. 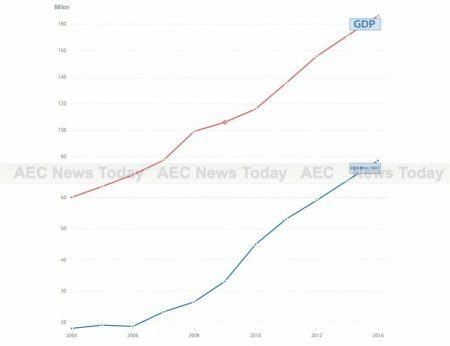 However, according to VN Express, this debt category has already hit 53.2 per cent of GDP. 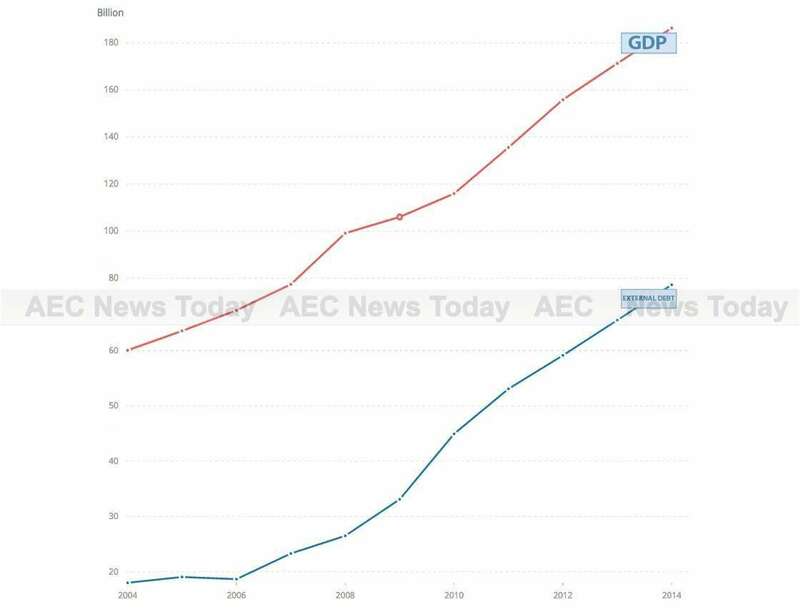 The National Assembly also set a revenue target of VND6,846 trillion (US$306.51 billion) for the next five years and left the public and foreign debt ceilings unchanged at 65 per cent and 50 per cent of GDP, respectively. This comes as revenue has fallen recently, especially due to low crude oil prices. Official statistics show that oil revenue made up 30 per cent of the Vietnam national budget in 2005, 20 percent in 2010, and just 10 per cent in 2015. These struggles are now impacting Vietnam’s development plans, which will have long-term consequences. For example, Deutsche Welle recently reported the government has scrapped plans to build two nuclear power plants in the south-central province of Ninh Thuan. The plants were announced in 2010 as part of an ambitious nuclear energy plan and would have involved technical expertise and financing from Russia and Japan. Demand for energy in Vietnam is growing fast thanks to rapid urbanisation. The country desperately needs to find energy sources besides its growing network of coal-fired pants. However, the cost of the two plants had ballooned to around US$18 billion, according to Deutsche Welle, forcing the government to pull the plug. 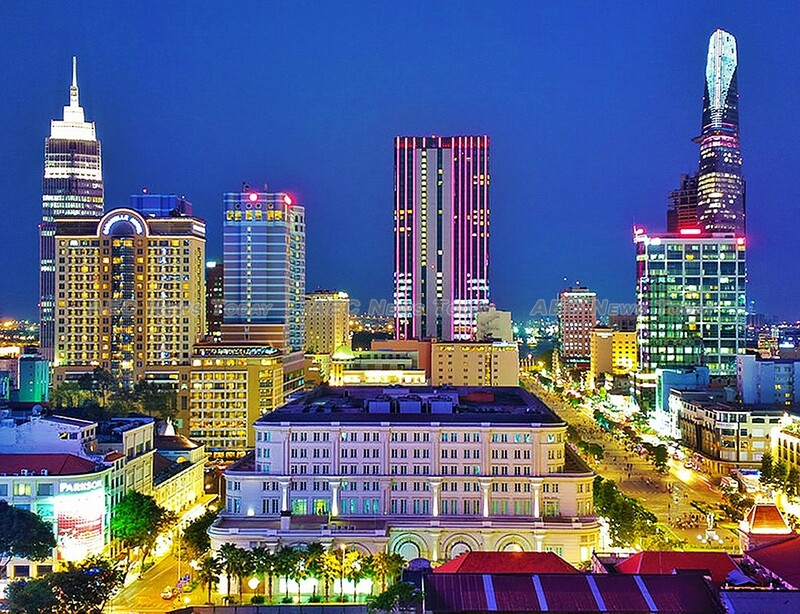 Meanwhile, Ho Chi Minh City (HCMC), Vietnam’s largest economic engine, is being forced to surrender more of its income to the central government, hampering vital infrastructure projects. HCMC’s leaders are working to make the city more friendly to investors through expensive projects such as the long delayed metro system (See: Hanoi & HCMC Metros Struggling to Get on Track). 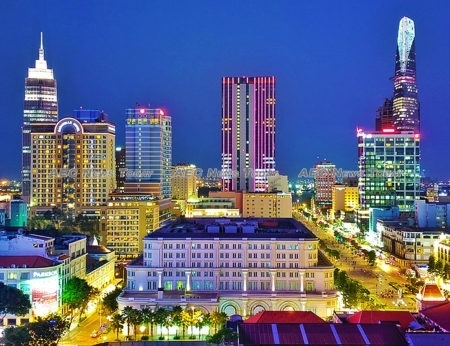 However, starting next year the city will have to send 82 per cent of its income to Hanoi, up from 77 per cent this year, Saigoneer reports. HCMC raked in nearly US$12 billion last year, the most of any city in the country: local officials estimate they need US$7.6 billion for projects by 2020. While the country’s staggering economic growth under former prime minster Nguyen Tan Dung has been nothing short of spectacular, earning the country plaudits including that of ‘Asia’s Shining Star’ (See: Up, Up, Up: Vietnam’s Growth Over 20 Years Make it Asia’s Shining Star), a failure by the central government to urgently reign in debt and spending could soon see the early benefits eroded by the hefty payment bill.